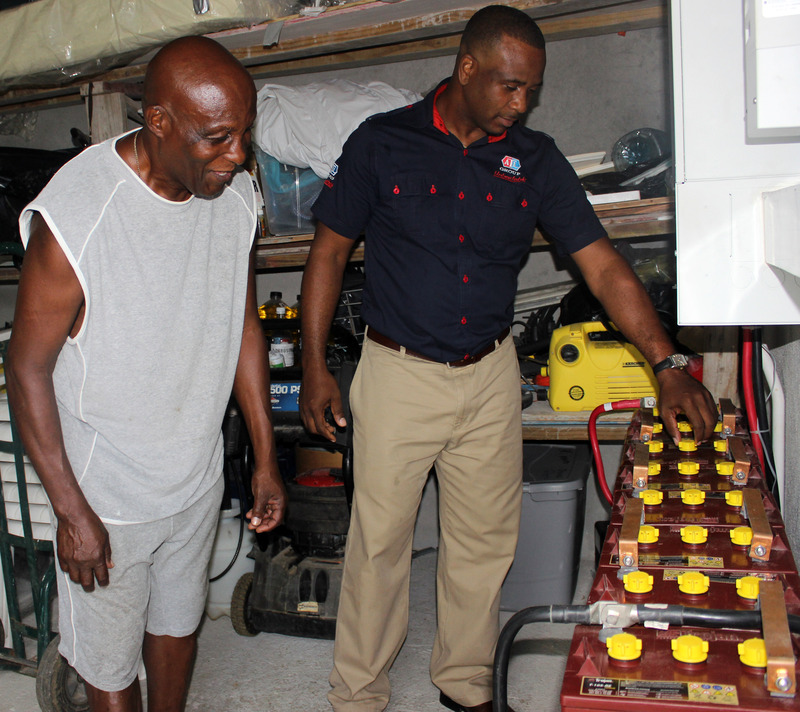 For the Dixons, the talk of going green is much more than talk but a passion put ardently into practise, “We are big believers of energy efficiency and do all we can to save,” says Newton Dixon of Retreat, St Thomas. And indeed Newton and his wife Beulah have put their beliefs into sustainable practise turning their home into a model energy-efficient dwelling, “We make a conscious effort to only buy eco-efficient appliances as well as we use surge protectors, energy-saving LED bulbs, even solar powered garden lights” said Newton. 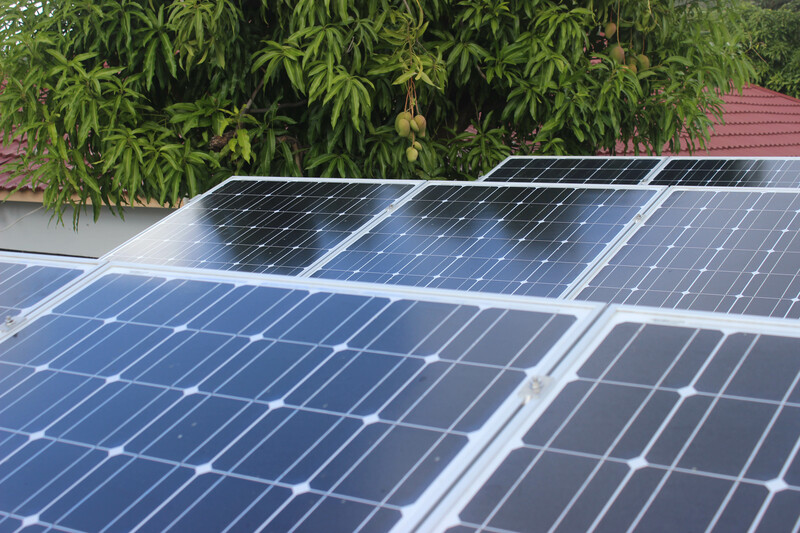 Their biggest energy efficient venture came recently with the procurement of a solar photovoltaic (PV) system. “We had long thought about going solar as an additional way of saving on our energy receipts so we worked with an independent supplier to set up a stand-alone PV system.” Stand-alone PV systems are electrical power systems energised by solar PV panels which are independent of the national power grid. Storage battery banks are used to store the electrical energy produced by the PV panels. The initial system, however, failed to meet their expectations barely generating enough electricity to run their residence. So the Dixons contracted energy solutions company ATL Energy (Appliance Traders Limited) to inspect it. “We assessed their setup and determined that their system was underperforming due to faulty equipment including faulty batteries, a faulty inverter controller as well as insufficient panels,” said Richard Marquis, Senior Application Engineer at ATL Energy. “We were able to salvage the panels from their previous setup, rewire the entire system and boost it to a powerful 3KW capable structure. We also outfitted the Dixons with a charge controller, which protects the system from electrical surges as well as prevents the batteries from under/overcharging,” said Marquis. With their system now retrofitted and functioning, the Dixons gush that the move to solar was one of the best decisions they ever made. “Currently we run heavy appliances such as our standing refrigerator, deep freezer as well our entire household lighting completely on solar energy,” said Mrs Dixon, “I am so happy that ATL was able to save our investment because we are truly a ‘green’ family”.